Most toast lovers have a butter spreading system they're okay with, but it's often a good-enough situation at best. 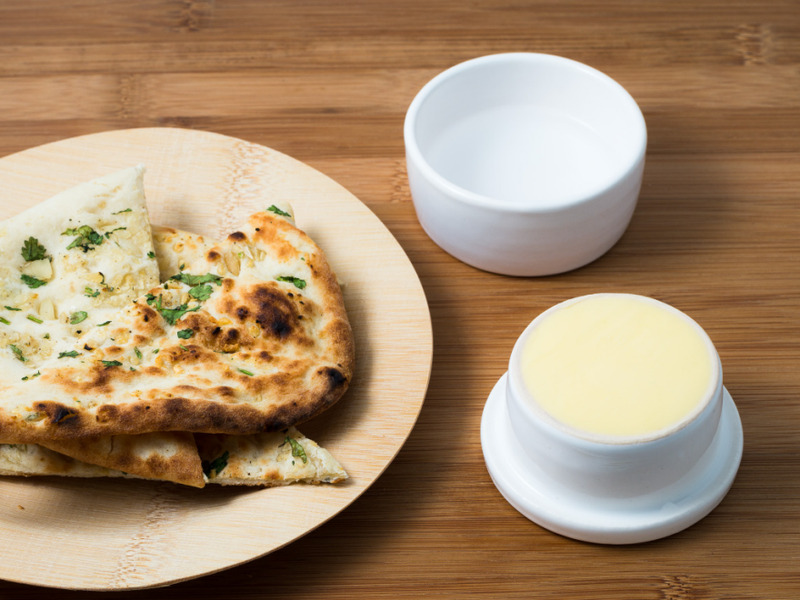 Having soft butter at hand usually means either messy melting or a barely-covered counter top dish that welcomes in bacteria and funk if you don't use it fast enough. And if you're comfortable mashing cold hard butter into your warm yielding toast… you aren't equipped for this design debate in the first place. I'd like to discuss the French butter keeper and how it almost solves things. Almost. The French butter keeper (or trademarked "Butter Bell") is a familiar tool for many people, but it doesn't have the universal popularity in the States that it enjoys in other countries. 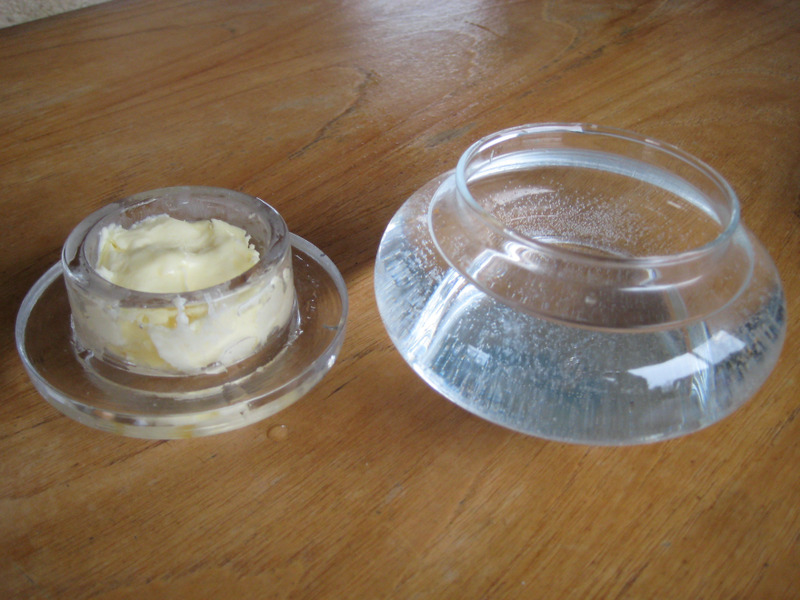 For the uninitiated, a butter keeper inverts the familiar butter dish, and then dunks it in water—it's only a little less weird than it sounds. 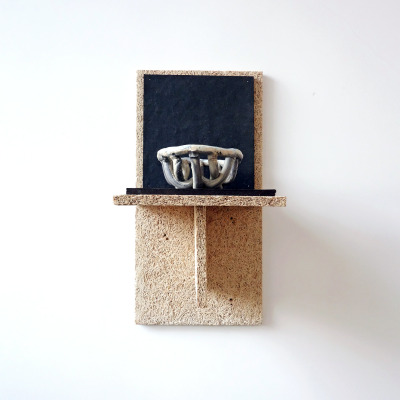 The keeper is essentially a ceramic or stone crock with a lid that fits deeply inside. 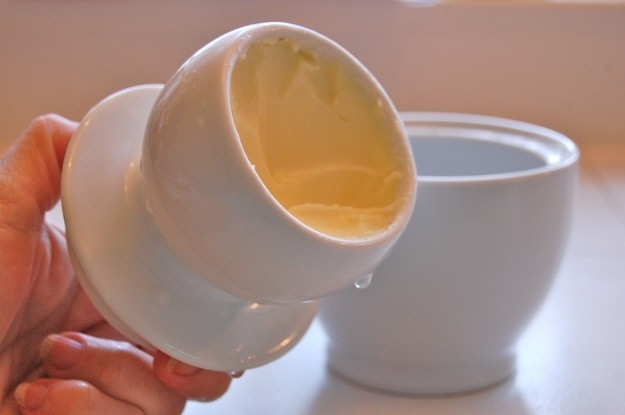 To use one, you let your butter soften to the point it just becomes malleable. Then you squish it as tightly as possible into the "bell" of the lid, packing it in firmly enough that it sticks. Then you add an inch or so of water to the crock half, and replace the butter filled lid. After that, it squats on your counter like a little mushroom or unassuming pottery jar and you're good to go. The principle is that the water seal keeps germs and goobers out of your butter, the air pocket keeps your butter dry, and the whole contraption maintains itself close to room temperature and is great for spreading. 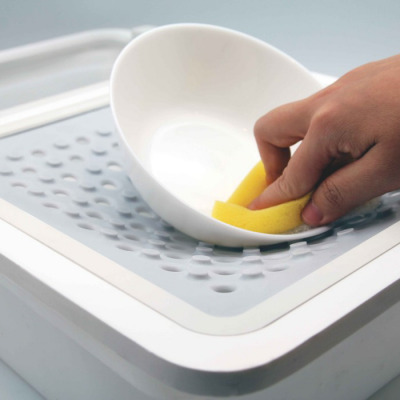 If executed right, it keeps your butter soft and easy to access for cooking and toasting needs, while also keeping it fresher than fresh air. Looking past some opportunities for user error (overfill the butter = wet butter; underpack the bell = wet butter), they're pretty genius. I can see why it's been in use for centuries, and can't see why they aren't more popular in the US. But as dead simple as it is, it isn't ideal in a couple scenarios. Unexpected hot weather and forgetting to change the water can create even more butter drama than the old stick-on-a-plate method. Is there a way to avoid your warm butter going swimming, or gunky rancid dunking water ruining your appetite? 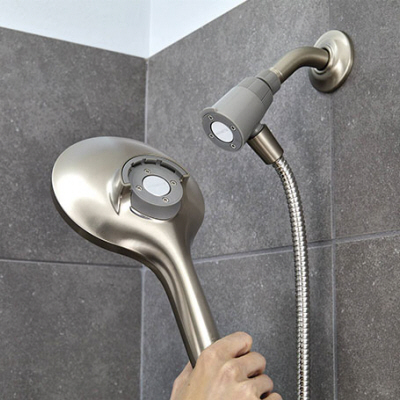 Would glass or clear silicone make water upkeep easier to remember? 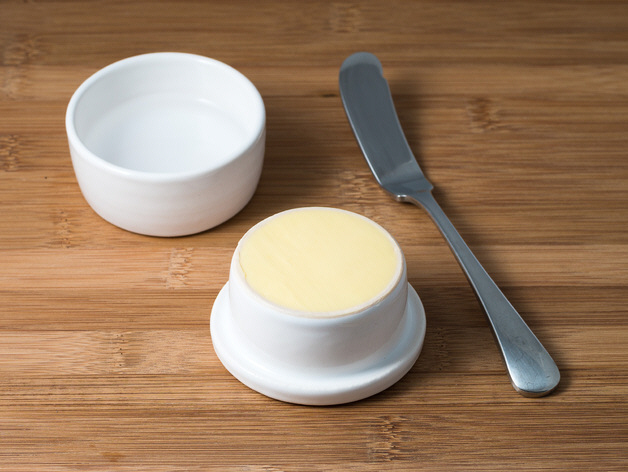 Countertop butter is common among home cooks around the globe, and it's maybe even more common among foodies, with just a few standalone dissenters in the ranks of the True Chefs. 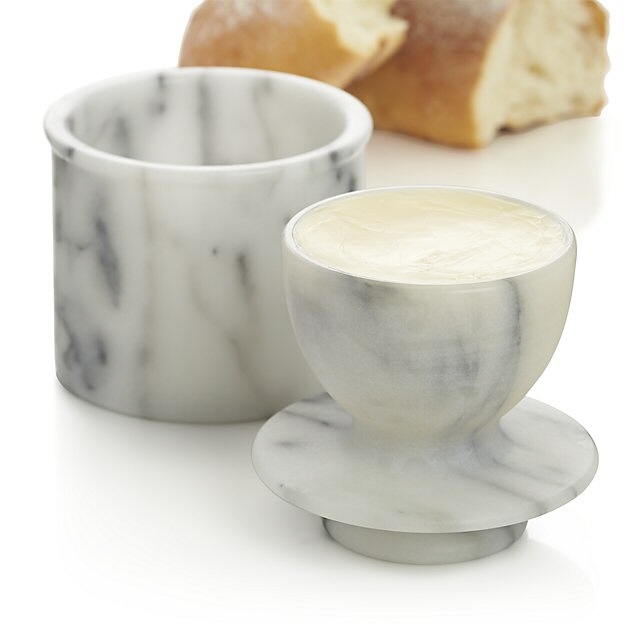 While warm butter is a nearly universal need, as far as I can find, butter keepers have been relegated to '70s kitsch and pragmatic midwestern kitchens, until the French Butter Keeper's Pinteresting resurgence within the last few years, spurred by cult kitchen brands starting to stock them and editorial plugs. Cute Etsy options abound, but is there a modern method that beats it? Have you used one? Is there a better solution for quick spreadable fat? Or is the future all microwaved margarine tubs all the time? 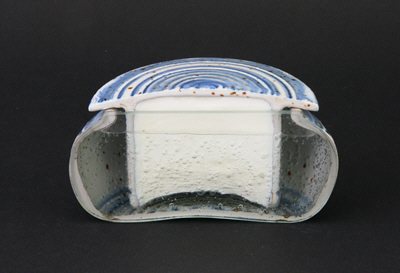 We use a traditional butter dish and it's messy, specially in warm months. I like this french idea. I've been using one for about twelve years. Couldn't do without one. Even if some water gets on the butter it's not really a problem; it gets away as little drops. In French they're called "beurrier Breton"
I just have a regular butter dish with a tight fitting lid. My butter keeps just fine on the counter. I don't get this water thing at all. Is this super heavy squishy grid thing better than goose down?